India's central bank maintained its benchmark repo rate at 6.50 percent along with the neutral monetary policy stance it adopted in February and said "the future course of monetary policy will largely depend on incoming data on how macroeconomic conditions are evolving." The Reserve Bank of India (RBI), which cut its repo rate by 50 basis points in 2016, once again called on banks to transmit its past rate cuts into lower lending rates as it continues to drain surplus liquidity stemming from last year's demonetisation toward neutral and support the resolution of banks' stressed assets to create "congenial" conditions for a revival of bank credit. The impact of last year's withdrawal of large banknotes on economic activity is on the wane and should fade with economic growth in the current 2017/18 financial year, which began on April 1, forecast to improve to 7.4 percent from an estimated 6.7 percent in 2016/17. 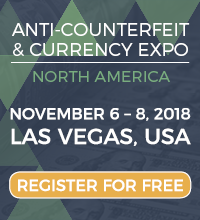 India's government in November last year banned 500 and 1,000 rupee bank notes - some 86 percent of currency in circulation - to root out corruption and tax evasion, hitting consumer demand and cash-intensive sectors, such as retail trade, hotels and restaurants, and transportation. The RBI came under pressure to ease its policy stance to bolster economic activity but kept rates steady in December and February while it observed how the impact played out on inflation and economic activity. In December the RBI lowered its forecast for economic growth in 2016/17 to 7.1 percent and then again to 6.9 percent in February while the International Monetary Fund also cut its 2016/17 growth estimate to 6.6 percent from 7.6 percent. Gross Domestic Product was up an annual 7.0 percent in the final 2016 quarter, down from 7.4 percent in the third quarter. In addition to improving global growth, the RBI it expects consumer spending to rebound as activity in cash-intensive sectors has largely been restored while the government's budget should help stimulate capital spending and rural demand while the roll-out of the Goods and Services Tax (GST), single tax system, along with the bankruptcy code and abolition of the Foreign Investment Promotion Board should help boost investor confidence. Although India's inflation rate rose to 3.65 percent in February - breaking a six-month trend of decelerating inflation - the RBI said it will undershoot its 5.0 percent target for the fourth quarter of 2016/17. 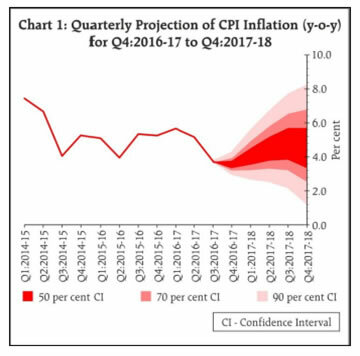 But for 2017/18 inflation is forecast to average 4.5 percent in the first half and then 5 percent in the second half, largely unchanged from its February forecast. The RBI, which targets inflation of 4.0 percent, said the path of inflation this year will be uneven and challenged by upside risks from food prices and underlying inflation pressure from input costs as the output gap gradually closes. 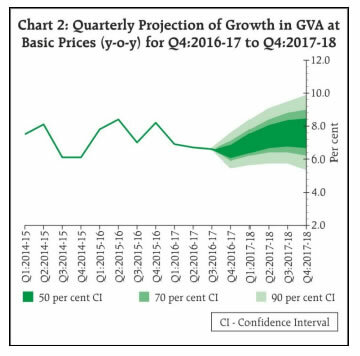 "Consequently, aggregate demand pressures could build up, with implications for the inflation trajectory," the RBI said. India's rupee depreciated against the U.S. dollar from mid-2011 to March 2016 after which it stabilized most of the year apart from another bout of weakness in November and December. But since January this year the rupee has firmed and rose sharply today in response to the RBI's policy decision. The rupee was trading at 64.56 to the dollar, up from around 65.0 yesterday, 5.3 percent higher since the start of this year and up 6.6 percent since hitting 68.8 to the dollar on Nov. 23 last year. In a separate statement, the RBI narrowed its monetary policy rate corridor further to plus/minus 25 basis points from plus/minus 50 points as its continues a process begun last April to better align the average call rate - the bank's operating target - with that of its policy rate, the repo rate. As a result, the reverse repo rate would be 25 basis points lower than the repo rate while the marginal standing facility rate would be 25 points higher. Since November 2015 the RBI has wanted to introduce a Standing Deposit Facility to give it greater flexibility to manage liquidity. The government is examining how to amend the RBI act. 23. The next meeting of the MPC is scheduled on June 5 and 6, 2017."